why not mother It never occurred to me to think of it as the 'feminine manifestation' of G-d which is present here in this world. Guess it makes sense that it would be 'feminine'...'giving life to all things...' being female, though, i do consider my prayers to G-d as coming from the 'Shechinah'. Eureka This is a huge dose of how it works. 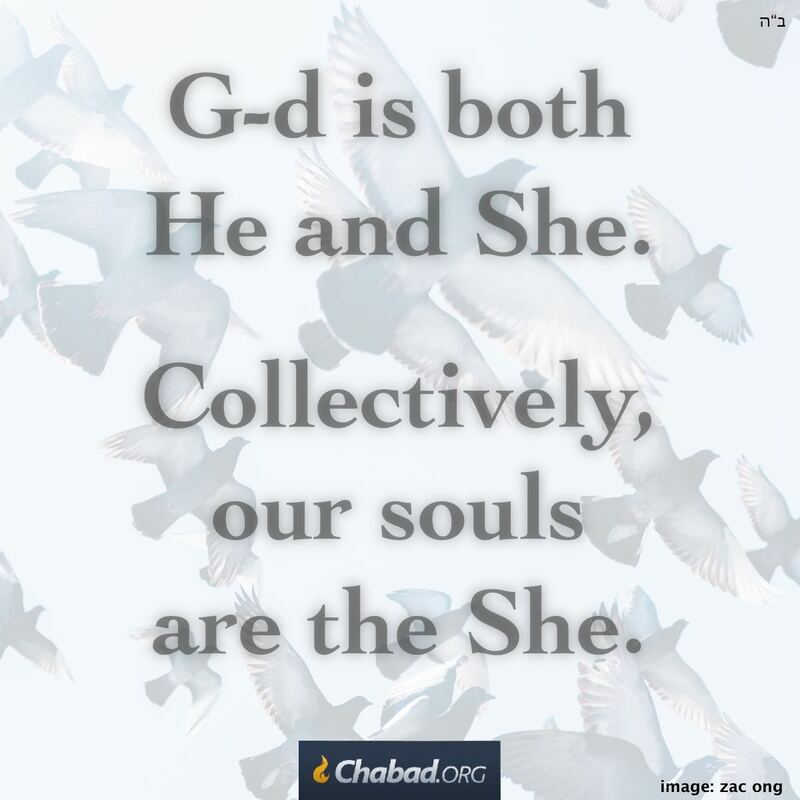 The two integral parts, Feminine/Shechina and Male/He. The role of the three pillars of faith: Mitzvot, Torah study and prayer. What still remains a bit of a mystery is the Lecha Dodi line: " Come, my Beloved, to meet the Bride; let us welcome the Shabbat. " Eureka! This is a Eureka kind of dose. So simply and beautifully described! Many thanks to Rabbi Freeman, for the wisdom provided. Does this mean that... Does this mean that between the first night of Rosh Hashanah and the sounding of Shofar next morning, we are only with Shechinah and completely "without" Him, only to have Him back to near us with the sounding of Shofar, until our last chance in Sukkot when He retreats again? Does this mean that only by leaving us only with Shechinas presence, He, blessed be He, can evaluate our deeds?